How Much Budget Do You Need for Content Marketing? You know your content marketing strategy will positively impact your marketing goals and business bottom line. But, how much budget do you need to make sure your content marketing is effective enough? Invest more and gain more – The more layered, the better supported by technology, and the more skill you have going into your content creation, the greater potential impact. Content marketing can be extremely cost-effective so harness that advantage – Part of the power of content marketing is its ability to deliver cost-effective results. Content marketing costs 62 percent less than outbound yet generates three times as many leads. It also drives conversion rates that are six times higher than other marketing methods. Both of these budget perspectives are true. With a large budget, you can invest in better technology to make your strategy more effective. You can keep up with (and reap the rewards of) the big-hitting content marketing tactics like influencer marketing and experiential marketing. But, there’s also a lot you can do with a small budget, even as a tiny startup. When you have the budget to move beyond blogs, social media and explainer videos, you can start moving into creating a multi-dimensional brand ‘world’ that your audience can not just buy from, but also become a part of. This is where you’ll find not just your traffic and lead generation numbers rising but also your loyalty metrics. Here’s the thing. 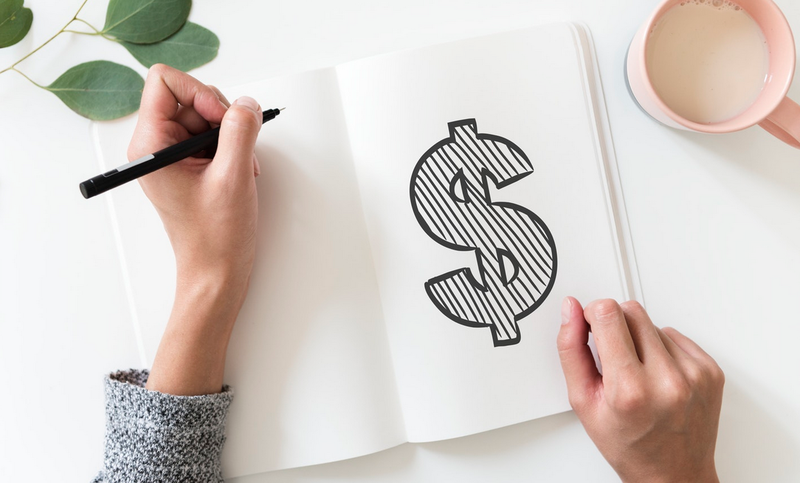 If you start with a large budget but haven’t yet mastered the efficient use of your content marketing dollars, you could be losing a chunk of your budget. For B2B marketers, on average, 70 percent of content created never gets used. That’s mindblowing! So, to figure out how much is enough, look at the content marketing budget as an evolving number. Even if you end up with a small budget this year, that doesn’t mean you won’t be able to increase it by 10 percent, 20 percent, or more in the following year. This gives you the flexibility to have what you need but also to avoid wasting your budget simply because your organization doesn’t yet have enough experience with content marketing, what it can do, and what channels and tactics make the most sense for your brand. By 2019, content marketing is expected to be a 300 billion-dollar industry. More companies are using content marketing (86 percent of B2C organizations and 91 percent of B2B according to the Content Marketing Institute’s research). And, most of those who are using it are increasing their budgets each year. What’s the average spend on content marketing? Overall, 26 percent of the total marketing budget is dedicated to content marketing for the B2B sector. For B2C, it’s 22 percent. But, here’s where it gets interesting. The most successful organizations spend closer to 40 percent of their total marketing budget on content strategy. Those with a relatively mature hold on content marketing spend about one-third of their budget on content. Setting your budget has a lot more to do with how much your organization has already done with content marketing rather than just throwing a quarter or a third of the budget towards content. A lot of this comes down to the nature of a good strategy – you have to get to know what works for your brand and what resonates well with your buyer segments to create a more sophisticated strategy. The only way to learn this is to start using content marketing, tracking the ROI of your content, and analyzing what works and what doesn’t. Then, you can go back and improve upon your strategy even further, ideally boosting web traffic, lead generation, and revenue growth, and being worthy of a bigger chunk of the marketing budget. Who’s Increasing Their Content Marketing Budget? Just under half of B2B marketers plan on using the same budget from 2018 to 2019. About 38 percent plan on increasing what they spend, with only three percent expecting to use a smaller budget in the future. This is a trend that has been going on for years, with 2015 being the sixth consecutive year for double-digit growth of the content marketing industry. Part of this is driven by the ROI – organizations experience a greater return as their strategy gets more effective. So, they invest more. It’s also driven by competition. With only a small fraction of companies not using content marketing, how can you expect to keep up with advertising and other outbound methods? Customers’ expectations for high-quality, relevant content are increasing, which means the more developed your strategy is and your use of technology, the easier it will be to ensure your content becomes the cream of the crop, rising to the top of search engines, social feeds, and email inboxes. What do you need to factor into your content budget? Who’s on your content team? If you don’t already have a content marketing manager, you may want to put this position on your list of budget priorities. 43 percent of organizations have a dedicated manager. You also want to look at what content creators and analysts you’ll need and which ones will be outsourced. Strategists, social media managers, copywriters, content editors, video production. The list can get pretty long. What content marketing tools do you need? What tools does your organization already have, need to upgrade, or need to start using? From your automation software to content management, collaborative platforms and SEO tools, most content marketing teams use an array of tools. A lot of your technology is priced based on a monthly subscription or user-based fee. Your technology expense will make up a lot of your fixed costs. What content is in your strategy? Being able to create a workable budget is one of the reasons for having a solid content marketing strategy is so important. Only when you have a detailed strategy, including what content is going to be published and where, how it’s going to be promoted, and your timeline for how your content strategy will unfold over the next three months, six months, and current year, will you have any idea of how much it is going to cost. You can estimate the cost of each piece of content, looking at either your outsourcing fees or the cost per hour of your content creators. Detailing the costs of each piece of content, as well as different components (How much does your blog cost a month? Infographics, videos, event marketing? ), won’t just make budgeting easier. Calculating your ROI will be a lot easier too. Even with a detailed analysis of your expected costs and factoring in what percentage of your marketing budget make sense based on your organization’s level of content marketing sophistication, you shouldn’t expect to stick to your budget. Here’s why. To really be successful at content marketing, you have to keep refining your strategy. As you gather more customer data and feedback and identify what resonates, you can continually improve upon what you have – which means there will be changes. To make room for your content strategy to evolve, plan for some flexibility in your budget. This way you’ll have enough in your budget for brilliance. Thanks Michael for the post and highlighting this topic. I think it is also important to have a strategy for reusing the original content in different formats and ready for multiple channels. As a part of my content strategy and budgeting, I plan for the buyers journey of my target audience – who they are, what stage of the funnel are they at, and where they are looking for finding the info. This means I can reuse the same content in multiple forms and post it on multiple channels. I usually map the content into my buyers (customers) journey to meet the needs of the target audience, while allocating some of the budget to the channels that I want to promote it on. Thanks for sharing, glad you like the post. It is crucial to keep the funnel stage in mind when building a content strategy, you are spot on! Great article which enlightens people on the budget concerning the growth of content marketing process. Thanks for sharing, glad you like the post!